Devour everything I can read, watch or go to in regard to the AFL, not interested in any other sports really. Have attended a dozen or so grand finals in my life, none of which I have had to pay to get in. (Work that out yourself). 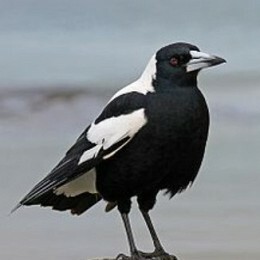 Collingwood tragic and member. Will never, ever get over losing the following Grand Finals - 77, 79, 81, 2002, 2011, 2018...1980 and 2003 we were never in it. Watching the Pies win 2010 with my boys was one of the greatest days in my life. The countdown is on for the opening bounce of the 2019 AFL season on 21 March, and to get you warmed up, these are my ladder predictions for the year. 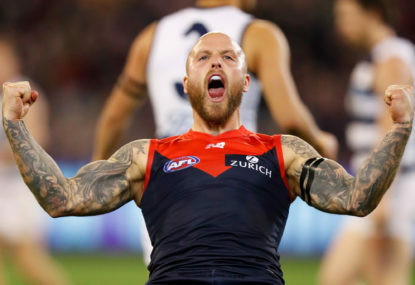 With the 2019 footy season an interminable time away it’s time to ponder the current hot questions of the 2018-2019 off season. We count backwards from twelve. One of my earliest memories in my life of following the Collingwood footy club involved the 1976 AFL season. 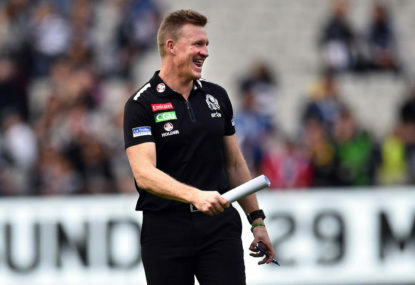 We’ve all heard about how Collingwood’s makeshift defence might impact their September campaign. But it’s actually the performance of the small forward brigade that the Pies will live or die by in the finals. 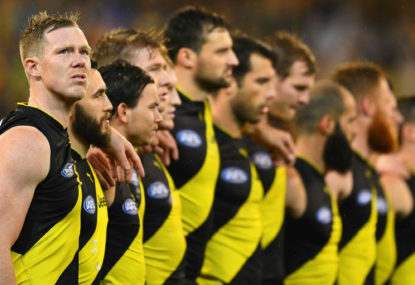 We’ve all heard the third quarter in a grand final defined as the ‘premiership quarter’, and we don’t need to go back far to find a significant one. 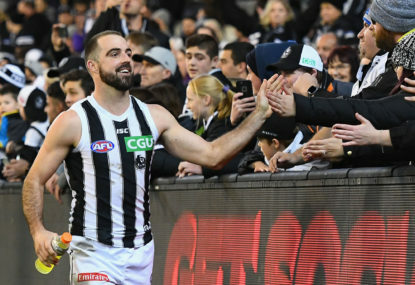 Collingwood surprised many this year with a convincing, some say era-defining 48-point win over Adelaide at their home ground, followed by a 49-point win over the Bombers on Anzac Day. Isn’t it interesting the way media works? Supporters latch on to a catchphrase, a byline, a supposed “truth” and regurgitate it as fact. A strange season Doc. Cats look good, not to convinced with anyone else yet. 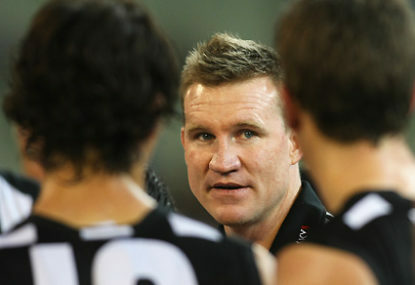 Pies showed some good signs against the Lions but sit in the question mark sides below. Strange season. Still waiting for it to settle but the Cats ahead of the pack. Seems we may not have it settled for a couple of rounds yet. Remarkable to think round 7-8 possibly before the ladder takes some semblance of where it will finish. My second fav team since watching the Blight era close up. They hurt me in 2011 and I questioned their direction at times since, but no doubt an awesome run club who have a real shot at their fourth flag in 12 years this year. A big win Cat would most likely have the Cats slight flag favs out on their own. Recent stumbles and unconvincing wins from Pies, Eagles, GWS, Tigers, Bombers, Crows and Demons all still left with question marks. Cats only blemish thus far a close loss to the Giants. Cats by 27 today in a workmanlike performance. Seems dramatic Bruce, Cats will win though. When’s the last time the Hawks got really belted? Go Cats! The ladder should be settling but it still looks weird. Tigers will be the fast risers. You got enough talls anyway 6×6. Port are still the most bipolar club in the competition. Can smash the premier at home and lose to the suns in Adelaide. Cats doing everything right but still not getting respect until they actually hoist the cup? Cats to win by 27 today. Timed his exit perfectly. Grab a flag and move on. Yeah that’s what I thought Matti. Tim was not quite as bad as Walls but nearly . AD, I read Ed Langdon putting contract talks on hold to focus on his footy. Any chance he might want to head to the Pies to join his brother? Cats may well beat the Hawks by their biggest margin in some time. Pinidu, they have had him higher up the ground this year trying to make space for Jamie Elliott. I’d like to see him closer to goal. Hey Paul, I recall you are going tonight? Beams handled an interview really well this week. When he pulled out last week I was like “oh oh”, but he has handled the questions pretty well. I have been waiting for the Pies to “click” and I am hoping like hell it’s tonight. Not much science behind it apart from we finally found a bit of our mojo in the last quarter against the Dogs. Will you guys tag Beams? Macca, can you see now why I was talking up Moore, Maynard and De Goey? Thoughts on that comment now Birdman? How’d that comment work out for you Tricky? Tim Lane certainly thought so Andrew in July 2017. I reckon they have a sniff. I’m getting on Fremantle. Could Fremantle upset GWS at home? Someone wake Macca up. It’s more Bolton and Blues. It was a ripping grand final on a cold wet day. Burns just missed knocking out Voss early which you would think could have been the difference.